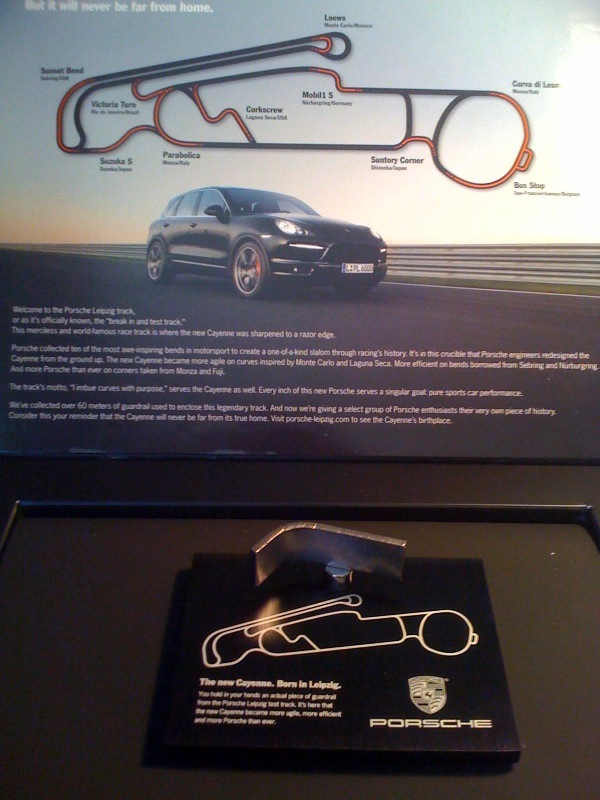 As part of Porsches push to promote the all new 2011 Cayenne, the marketing team has come up with a creative keepsake to give away in limited numbers. According to the Porsche web-site, they've chopped up 60 meters of guardrail from the the historic Leipzig test track (birthplace of the new Cayenne) and "repurposed" it into a unique and "personal keepsake". Can a Porsche Cayenne Really Handle Off-Road Driving? Would You Ever Cheat On Your Porsche? Thanks for letting us know. I just signed up for mine. Link does not work for me either. Unfortunately, it looks like Porsche took it down. Alternatively, it could be load cycling. If you Google “Free Porsche Guardrail” the link to the Porsche site still shows up, however, it goes to a “File Not Found” page. It’s possible that too many people are hitting it or have hit it. We’ve seen a ton of other sites referencing this since we posted it. Thanks, it was worth the try! I got mine — registered for it, anyways… I look forward to getting it in the mail! I was able to get through the site to order the plaque. Did anyone get one yet? ?